A 2017 survey by the National Retail Federation determined 72 percent of adults plan to celebrate or participate in Halloween activities, and that the average consumer spends about $86 on costumes, candy, decorations and greeting cards. 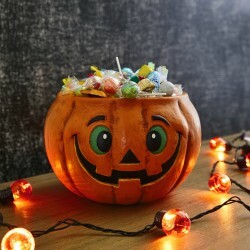 Halloween is the third largest party day in the US behind New Year’s Eve and Super Bowl Sunday. Industry-wide, Americans exchange about 20 million Halloween cards each year. Hallmark first produced Halloween cards in the 1920s. Halloween is a secular celebration based on ancient Druid customs, dating back to 700 B.C. The Druids, a Celtic religious order in ancient Britain, Ireland and France, believed that the souls of the dead returned to mingle with the living on “hallowed eve”. People dressed in costumes to disguise themselves from these spirits. 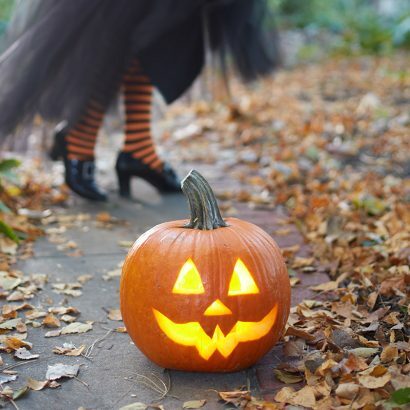 Halloween first was celebrated in the United States in the 1840s, when Irish Catholics, fleeing from the potato famine, brought Halloween customs with them to America. The tradition of carving pumpkins into jack-o’-lanterns originated with Irish children who carved out the centers of rutabagas, turnips and potatoes and placed candles inside. 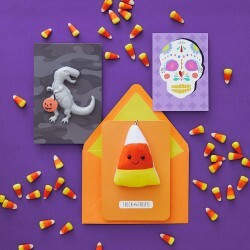 The first Halloween cards in the U.S. were produced in 1908. 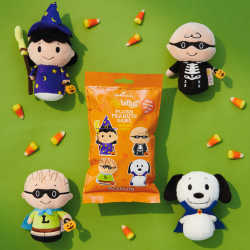 Hallmark produced its first Halloween cards in the 1920s along with a limited line of Halloween party accessories, such as nut cups and bridge tallies. 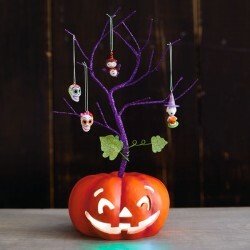 In the late 1950s and early 1960s, Hallmark began producing Halloween centerpieces, masks, children’s things and paper partyware items.